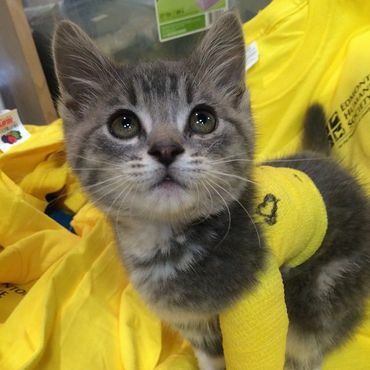 Help Little Henry the Warrior Kitty Recover! Little Henry is such a cutie!! Thnx for sharing Jeri!! I sent Henry to FB!! Magnificent recovery & rescue, what a precious baby!!! Thank you to everyone who helped Henry! Thanks Jeri. God Bless little Henry. His story brought tears to my eyes. I hope he has a long and happy life. What a brave & strong little guy Henry is !